1307.00 sqft. - 2300.00 sqft. Aratt Cityspace by Aratt is situated in Aavalahalli, Bangalore. The houses are extremely spacious and luxurious for your serene living. Beautiful gardens located around the vicinity take away the credential of the project. The project is being carefully crafted by the designers to add up the sense of luxury. You can live in the home with complete peace of mind. Contemporary design for your dream is specially curated by the designers. Best fitted budget offered by Aratt Cityspace that would stimulate you to acquire the homes. Aavalahalli is an emerging locality in the famous city of Bangalore. This place scores high on connectivity and several major landmarks are located close to the area. Bangalore International Airport, ITPL Whitefield, M.G. Road, Bypanahalli Metro Terminal, Manyata Tech Park and Sri Satya Sai Ashram lie near this locale making it all the more attractive for the dwellers. Bangalore City Junction, Banaswadi and Channasandra Railway Station are situated at a short driving distance from this region making it well linked to other parts of the state of Karnataka. A number of buses run from this area to various parts of the city and beyond thereby ensuring smooth transportation and decent connectivity for the inhabitants. Strategic location between MG Road and International Airport adds to the value of the area by making it more attractive for several business and commercial activities. The beautiful Hoskote Lake nearby adds to the natural beauty of this place. A phase of rapid development along with presence of various fundamental and vital establishments like Schools, Colleges, Hospitals, Banks, ATMs and Restaurants have brought this location in the list of the most sought after ones in the city. Aratt has been in business since 2003 with thirst for vision, creativity and proven ability. Having most of its residential and commercial projects in South Bangalore, the company is a prominent and emerging real estate firm in Bangalore. Their aim is to go beyond mere concrete structures and create an identity that would effortlessly reflect the personality of those who live in it. At Aratt, they summarize it as ‘luxury exemplified’. 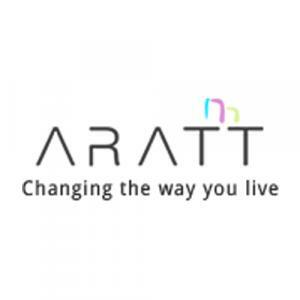 Aratt is rich in detail, sophisticated in feel and cutting edge in design and technology. The company offers technological infrastructure that embraces modifications easily. Their focus remains on their core values that are trust, transparency and quality.